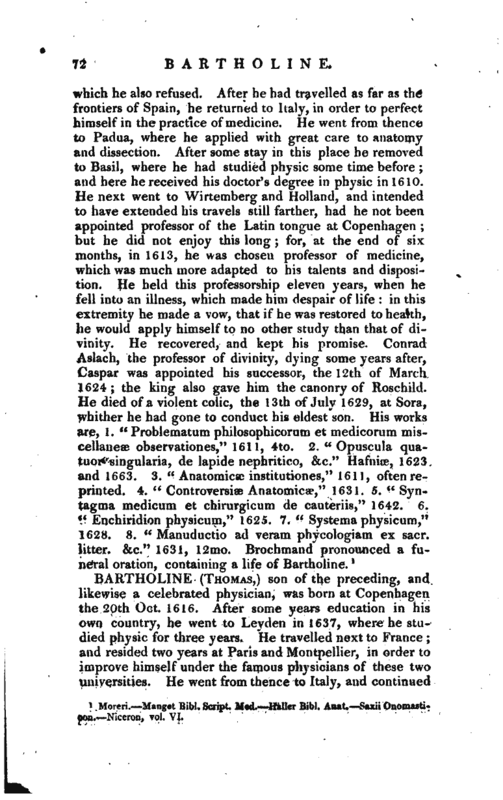 , an eminent physician, was born Feb. 12, 1585, at Malmoe or Malmuylin in Scandinavia, where his father was a Lutheran divine. 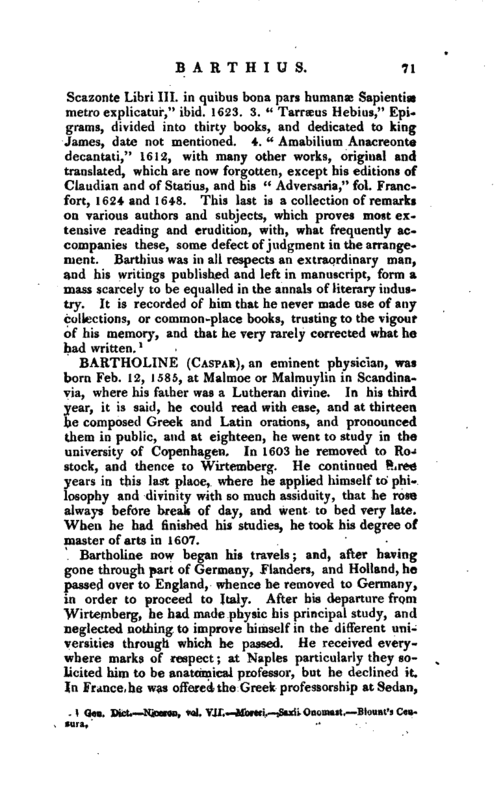 In his third year, it is said, he could read with ease, and at thirteen he composed Greek and Latin orations, and pronounced them in public, and at eighteen, he went to study in the university of Copenhagen. In 1603 he removed to Rostock, and thence to Wirtemberg. He continued three years in this last place, where he applied himself to philosophy and divinity with so much assiduity, that he rose always before break of day, and went to bed very late. When he had finished his studies, he took his degree of master of arts in 1607. Moreri. —Manget Bibl. Script. Med. Waller Bibl. Anat. -—Saxii Onomasticon. Mceron, vol. VI.